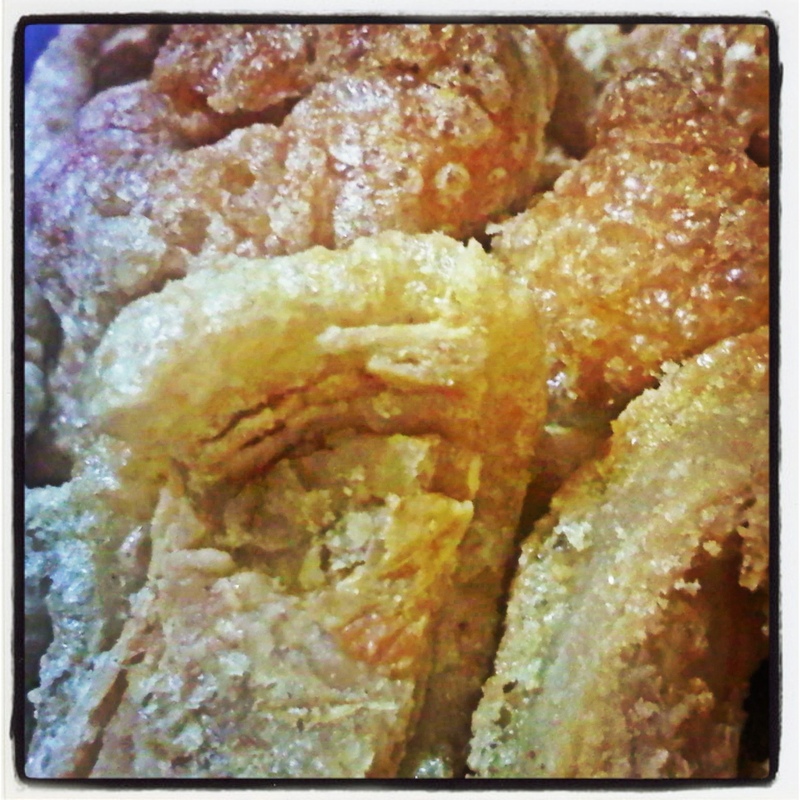 I love chicharon so much even if my husband calls it “a heart attack in a bag!” I would eat it anytime of the day. I’d eat it as is, dipping it in very spicy vinegar (Pinakurat particularly) or eat it as a main meal partnering it with steamed rice. A former colleague of mine, Jenna, has a friend whom she calls, Tita B. She cooks the best chicharon in town. Though not for sale, we fondly call it, “Tita B’s Homemade Chicharon”… and boy, what a joy it is to munch on it all-day (not recommended, though! Hehehe!). A combination of skin and fat that is cooked perfectly! Since it isn’t really for sale (like I mentioned earlier), I would usually ask Jenna to order it for us. “Tita B” prepares them only on a per order basis. Priced at Php370.00 per pack (it fits into a full gallon container), “Tita B’s Homemade Chicharon” is, on a gastronomical level, one for the record books!